Two of my co-workers are having babies. I just finished the gifts I knitted for the first one. 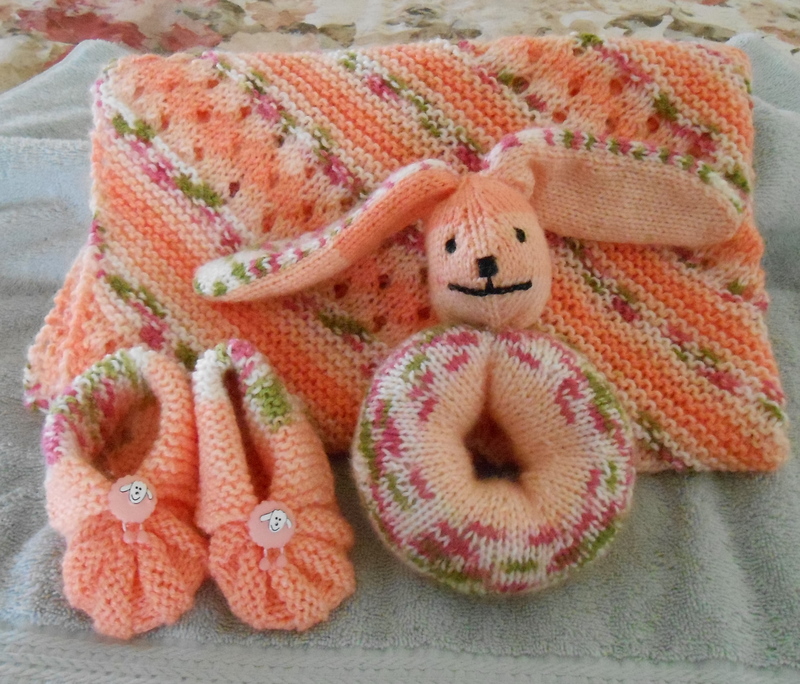 I decided on a blanket, booties (which I posted earlier) and a toy. Now for the next baby. I decided to make a cute lamb and socks only. The blanket took too long. With limited time I have to have projects that don’t take so long, otherwise I don’t have any time to work on other projects such as RR’s and personal stitching goals. What a beautiful gift set. The colors are so sweet and those booties are just too cute!